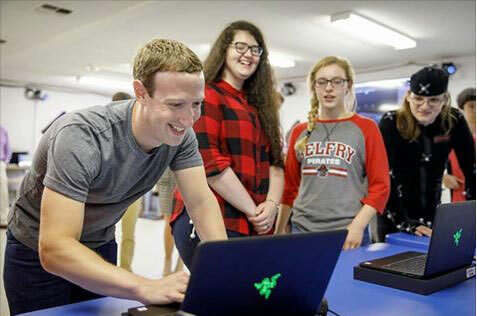 Mark Zuckerberg: I’m in West Virginia and Kentucky this weekend as part of my Year of Travel challenge. I talked to some students who were using the Summit personalized learning tools we’ve been building at the Chan Zuckerberg Initiative and who were learning how to code. These kids were showing me the games, robots, drones, and VR apps (!!) they were coding. They told me they were learning much faster with personalized learning now that they could move at their own pace, and their parents and teachers could help them out more now that they have better info on how they’re doing in each topic. This fall, more than 300 schools in almost every state in the US will be using the Summit Learning Platform to offer a personalized learning experience to students. We’re looking forward to extending this soon so even more students can benefit from personalized learning.